Secure your PC and your web browsing activities with ZoneAlarm Antivirus and Firewall. ZoneAlarm Antivirus detects and blocks spyware, viruses, worms, Trojan horses and rootkits, while the Firewall monitors programs for suspicious behaviour locking out hackers and blocking intrusions, keeping you and your computer safe from malicious attacks. 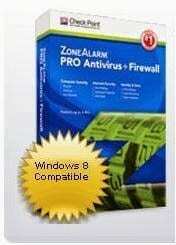 Download ZoneAlarm PRO Antivirus + Firewall 2013 – Save 50%+ today! ZoneAlarm is well known for their superior firewall which shields your computer from hackers, virtually making your PC invisible online. The antivirus monitors your PC for activities of viruses, spyware and Trojan horses and blocks them. ZoneAlarm comes with a Private Browsing feature that maintains your privacy while you browse by erasing any trails you leave behind. 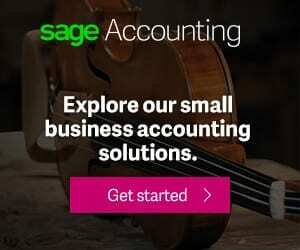 The Do not track feature stops services that collect your data online in their tracks. You can also use the Facebook privacy scan, which scans your Facebook account for privacy issues and alerts you if it find anything you need to change. Note that you may need to change your settings to enjoy some of the security features.